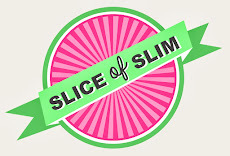 Slice Of Slim: HAPPY JUBILEE WEEKEND! As I had to post these ideas in advance to give you time to prepare for your Jubilations and festivities, I thought I would do a quick recap post for any of you who may have missed them the first time around. I'll leave this up until next week so that you have a quick visual reference. If you want to find the full ideas with instructions, simply type the title into the search bar at the very top right of the blog page and it will come up for you. Simple red, white and blue fruit and cheese kebabs and canapes embellished with little flags and ribbons. A crispy bread base with chocolate Philadelphia and fresh fruits in the shape of a Union Jack. A golden meringue crown filled with fresh fruits and cinnamon creme fraiche trimmed with patriotic ribbons. Wishing you a very happy Bank Holiday weekend, whatever you are doing.